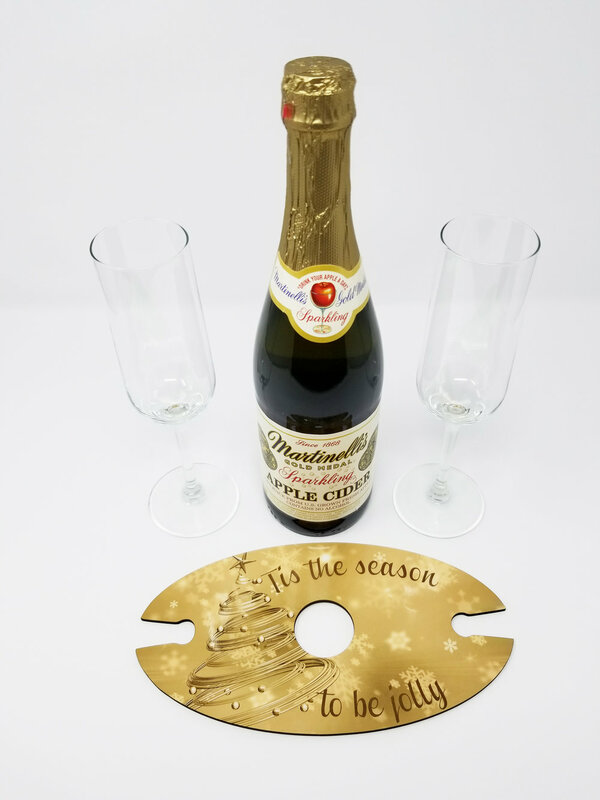 Hardboard tray with hole for the wine bottle and slots for the glasses. Clever little tray enables a great presentation for restaurants or attractive side board displays. A great gift item. Large SQUARE CADDIE. 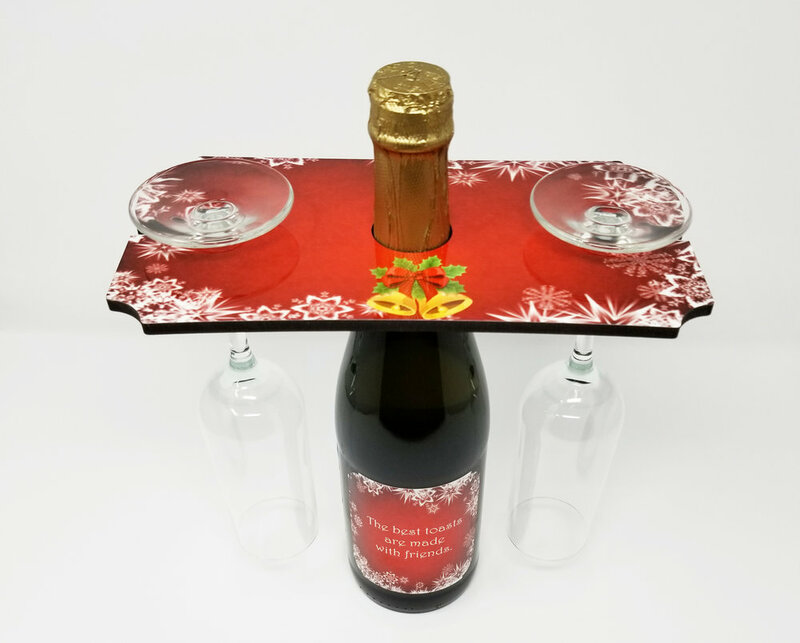 Hardboard tray with hole for the wine bottle and slots for the glasses. 1-sided. 5.25"x 9.5" x.25" tray. Clever little tray enables a great presentation for restaurants or attractive side board displays. A great gift item. $18.00.